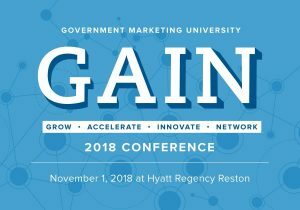 GAIN - which stands for Grow, Accelerate, Innovate, Network - has become the annual home for government marketers to come together and share challenges, tactics, and successes. This event, now in its third year, filled a void in the event landscape for government marketers. Government marketing is a unique field given the strict guidelines that surround government purchasing. What works in the commercial market does not always translate to government. And speaking of translate, the government's acronym alphabet soup feels like a whole different language. We spoke with Founder Lou Anne Brossman to find out what attendees should expect at this year's event. What makes GAIN different from other federal events? First, there's our focus on the marketers. When we started this event I had people come up to me and exclaim, "I've found my people!" Marketers are so busy and focused on their day to day that once they were able to take a step back and talk with peers they realized there was a huge value in the camaraderie of this field. It's been exciting to watch people make connections. Our attendees started referring to themselves as GAINers both at the show and throughout the year. It's really been great to see this community form. I think another unique aspect is this idea of community. GAIN was borne out of Government Marketing University (or GMarkU), a professional learning platform that takes a collaborative, community-based approach toward knowledge sharing and skill development in the field of public sector marketing. We have over 60 gurus from all corners of the U.S. public sector marketplace -- marketers, thought leaders, government (current and former), media and sales leaders -- contributing their time and knowledge via classes and events. Sharing is not confined to one day - it continues year round with GMarkU. With the kids back to school, it's a great time to turn your attention to your own professional education. Lawyers, doctors, teachers and many other professions require periodic re-certification and have strict requirements for continuing education. 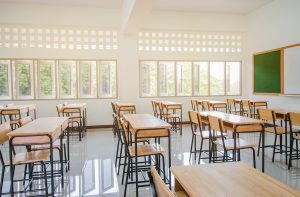 Likewise, many government agencies and specialty programs like the Presidential Management Fellows, require their employees to attain a certain number of training hours a year, but for the majority of people, continuing education is completely voluntary. CPEs - Continuing Professional Education. Offered by universities, professional organizations and private companies, these courses are typically accredited by the organization's governing body and help professionals stay current with their industry and its changes. CEUs -- Continuing Education Units. These credits tend to be related to licensed professions and are tied to the renewal of those licenses. Certifications - Certifications are an official marker of knowledge, study and mastery and are typically tied to a specific skill rather than a field of study. CLPs -- Continuous Learning Points. This form of learning credit was created by the DoD and acquisition communities. There is no central governing body or uniform set of standards for issuing CLPs making the process for offering and awarding CLPs less rigorous than that for CEUs. With travel and training budgets remaining tight, getting people to an in-person training or event can be difficult. Many agencies are embracing online learning and video to achieve their training objectives and needs. While in-person trainings provide a high level of collaboration and attention, technology has evolved to make online training an incredibly attractive option for learning. [Tweet "Technology has evolved to make online training an attractive option. #GovEventsBlog"] From wide access to audio and video technology (with cameras and high quality speakers and microphones built into most devices) and high bandwidth, organizations are no longer limited in what they can present to remote participants. But, this does not mean every bell and whistle should be used in online training. What technologies and tools to use is a strategic decision that needs to be made based on the audience and the content. Yet another federal agency is taking heat from the Congress for spending money on conferences, as Sen. Tom Coburn (R-OK) has asked the Department of Education to explain why it still plans to hold a large gathering in Las Vegas late this year, even as it makes cuts to deal with the sequester. "The Administration is claiming that over a million students will lose access to support services and special education, but the Department of Education is still planning to hold a conference in December at the Mandalay Bay Hotel in Vegas," Coburn said in a news release issued on Thursday.